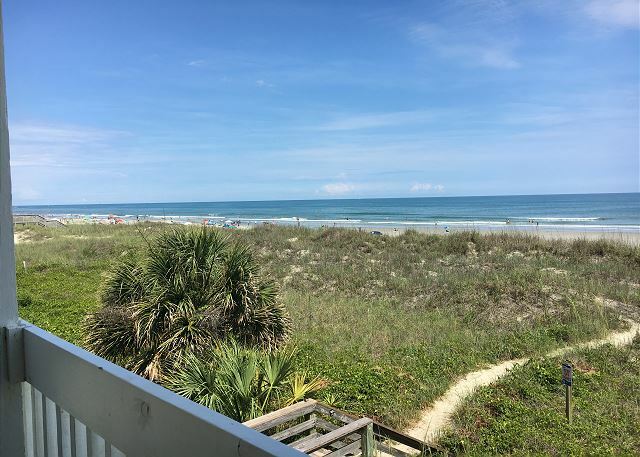 Spacious Oceanfront 3 bedroom North Myrtle Beach condo with kitchen & washer/dryer. 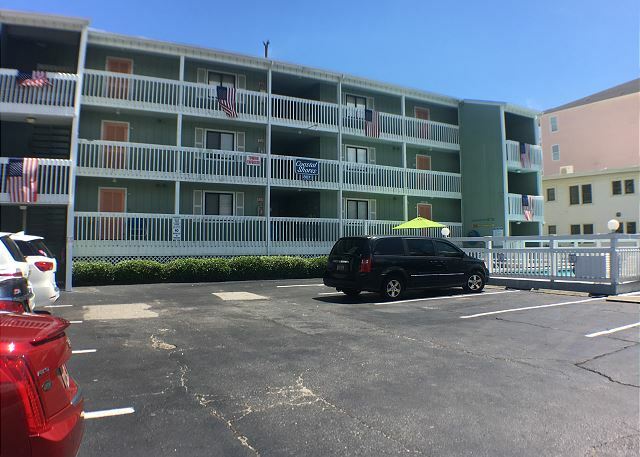 Coastal Shores is located in the Ocean Drive Section of North Myrtle Beach; minutes from Main Street North Myrtle Beach and a short drive to Barefoot Landing. 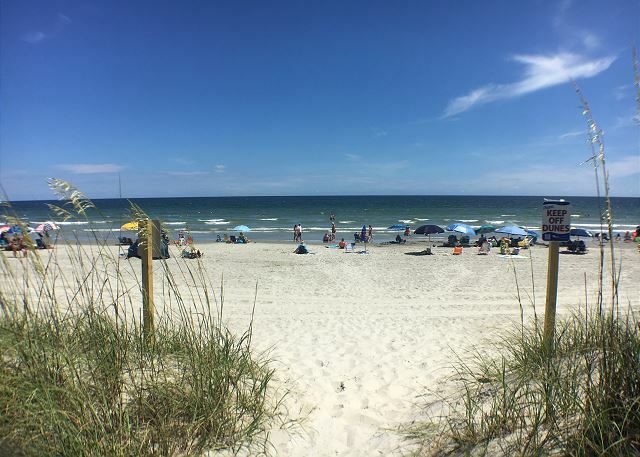 You are only steps to the Atlantic Ocean and the white sandy beaches of North Myrtle Beach. 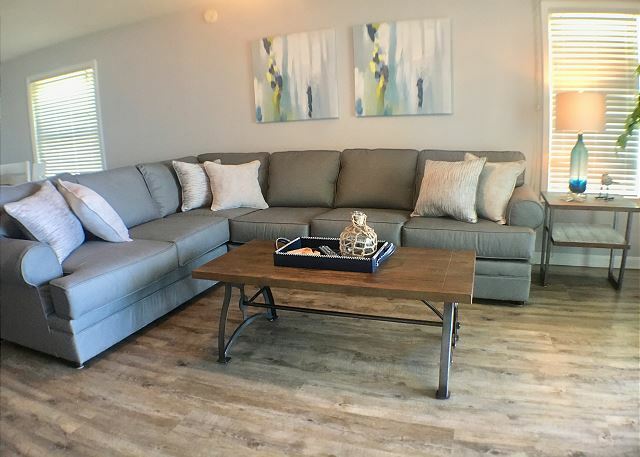 Fabulously decorated living room with new furniture, flooring and accessories. 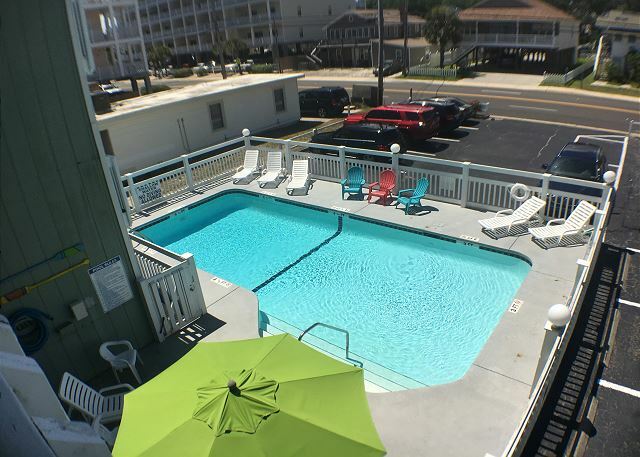 Cable TV and free wireless internet! 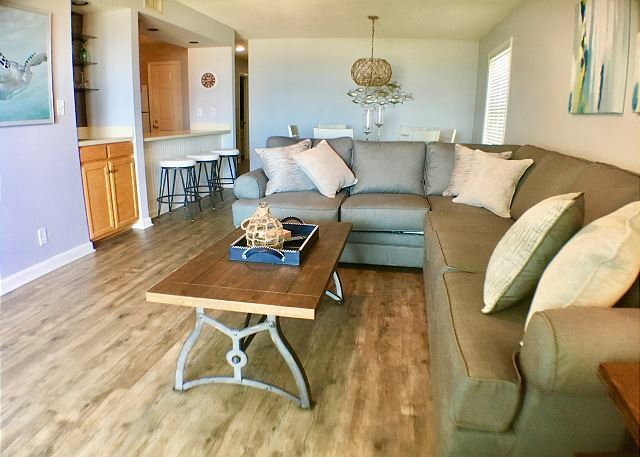 Open concept living space with comfortable & stylish seating. Seating for 6 at the table and 3 at breakfast bar. Queen size bed, private restroom, ocean views, and balcony access Master bathroom has a vanity with make up area, and separate water closet with tub./shower combination Bright and Cheery bedroom with new furniture and a Queen size bed Guest room has a flat screen cable television,perfect for the guest who falls asleep listening to the TV. 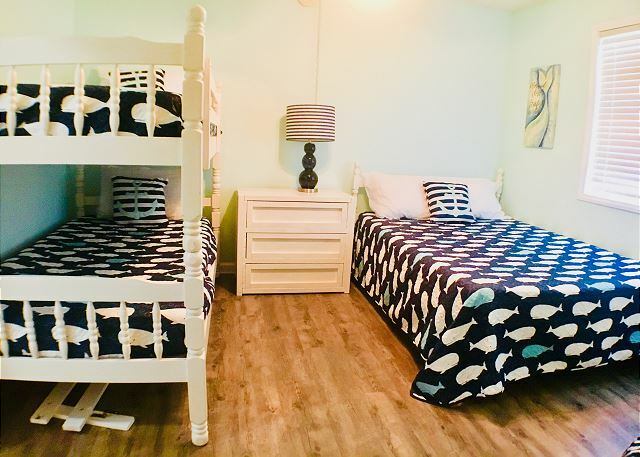 Queen Size bed and a set of bunk beds, this room is perfect for the kids! Play area and small flat screen cable TV. 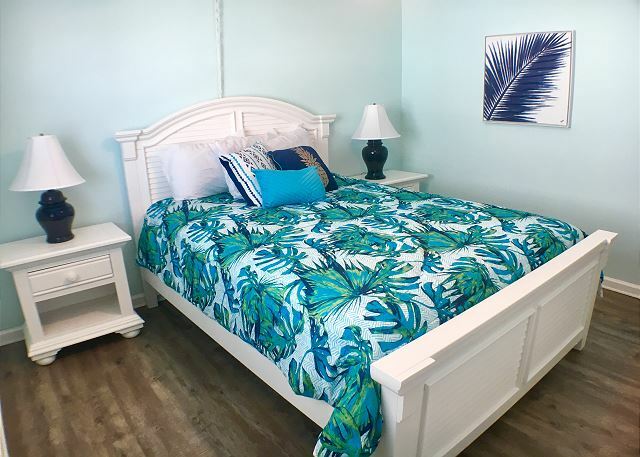 2 Guest Bedroom on the left side, laundry room and full restroom on the right side Wash your bathing suits and beach towels in this full size washer/dryer Fully equipped kitchen that meets all your basic needs, pots, pans, dishes, drip coffee pot, microwave, toaster and silverware. 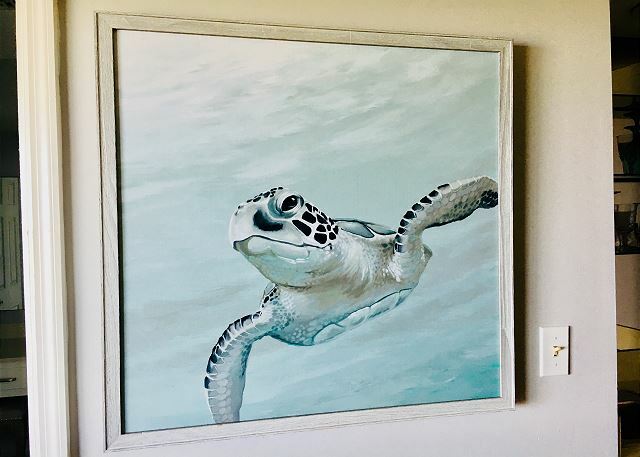 Sea turtle season is May - October, please look out for nests Smaller Oceanfront complex with only 12 units. 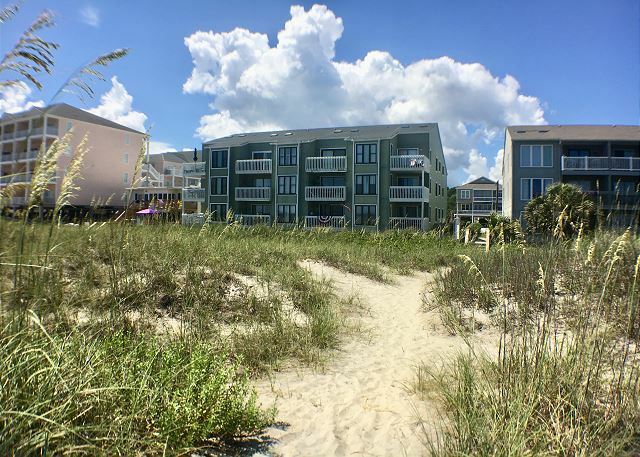 Located in the desired Ocean Drive Section of North Myrtle Beach! 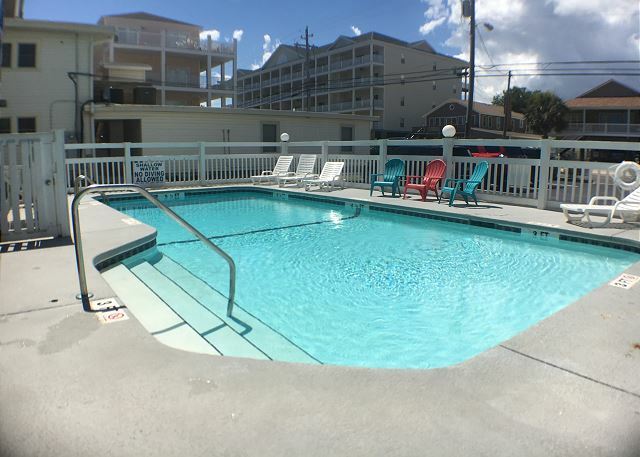 Take a refreshing swim in the community pool. Parking is free but Guests only receive 2 parking passes. One spot is designated for the unit. 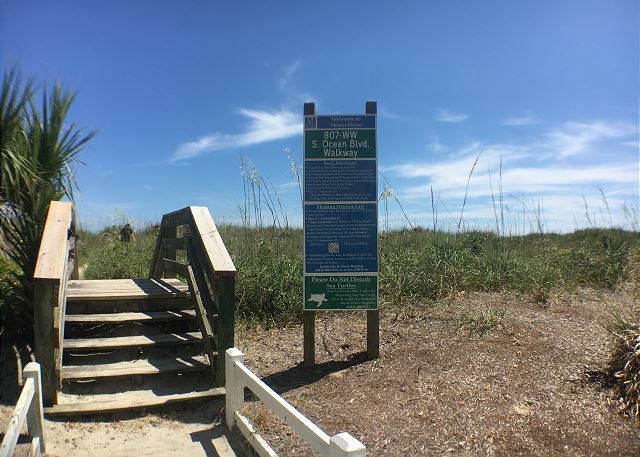 Public Beach Access is directly beside the complex! 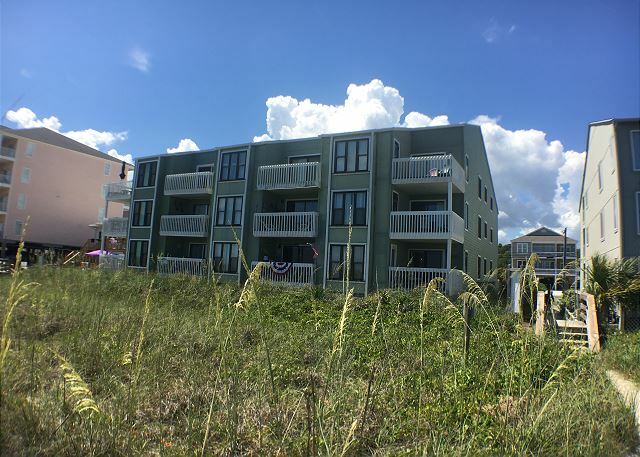 Coastal Shores unit A-2 is located in the Ocean Drive section of North Myrtle Beach offers guests a beautiful oceanfront view of the beach and Atlantic Ocean. 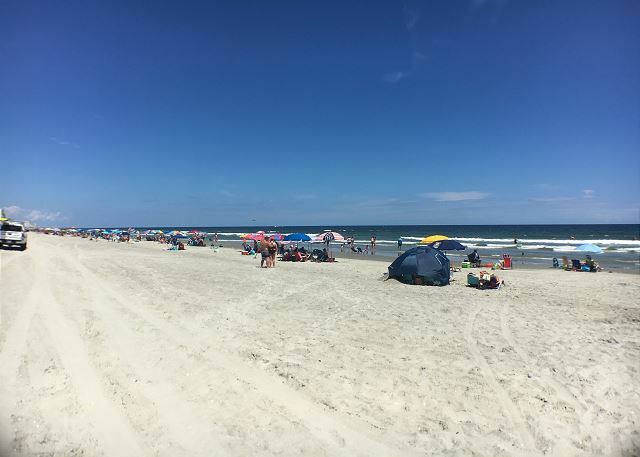 Coastal Shores features a sparkling outdoor swimming pool and is close to all of the attractions that North Myrtle Beach has to offer! 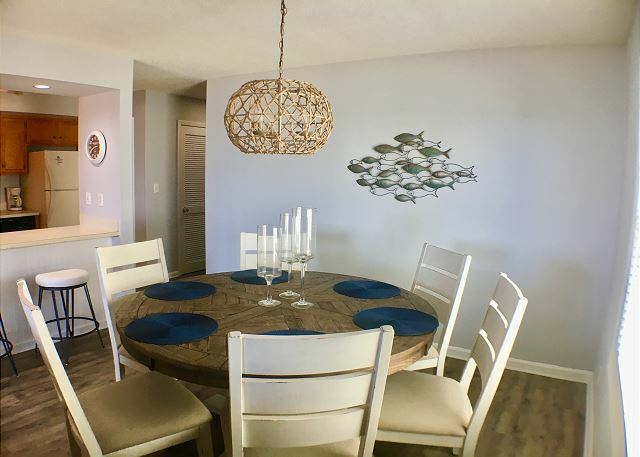 This oceanfront condo has a fully equipped kitchen and offers plenty of seating in the living room with brand new furniture, flooring, and decor. 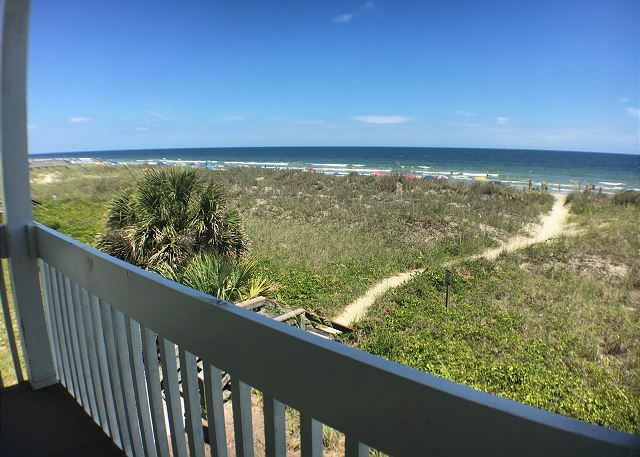 Your living space also features Oceanviews and direct access to the oceanfront balcony. 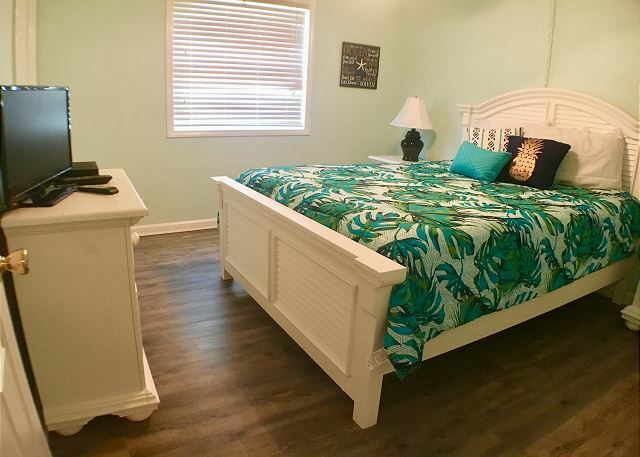 The master bedroom has a Queen size bed, private restroom and a doorway to the oceanfront balcony. 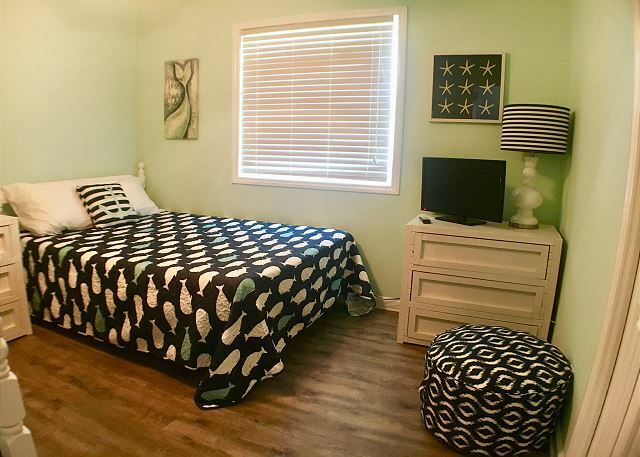 Guest room #1 features a Queen size bed and a flat screen TV with cable. 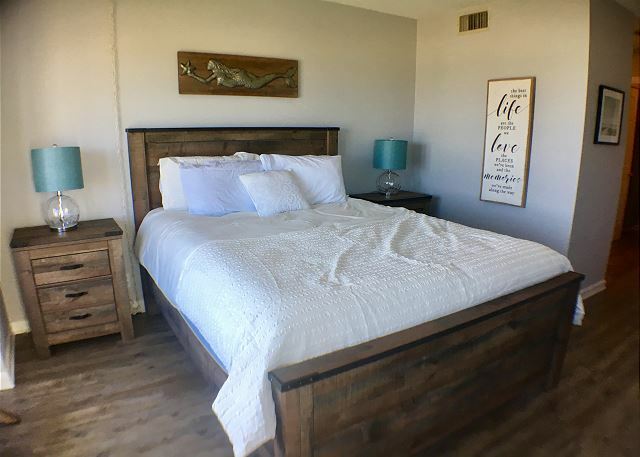 Guest Room #2 features a bunk bed and a full size bed with a flat screen TV with cable. 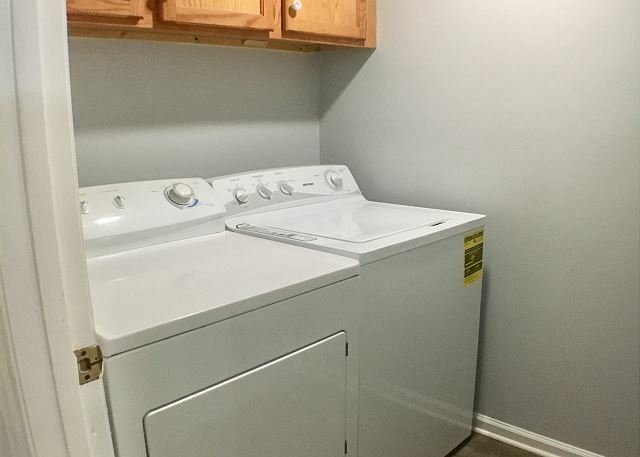 There is a full size laundry room and a hallway restroom with a tub/shower combination across from the guest bedrooms. The place was perfect for what we needed. The other residents in the building were very pleasant and really enjoyed having our five children around. Our oldest spent afternoons at the pool with some of the ladies that would engage her in conversations. The condo it’s self was very nicely decorated and clean. Linens were not in the unit when we arrived but were promptly brought after a phone call. We would totally stay here again. We had a blast! Slept and housed 7 comfortably. 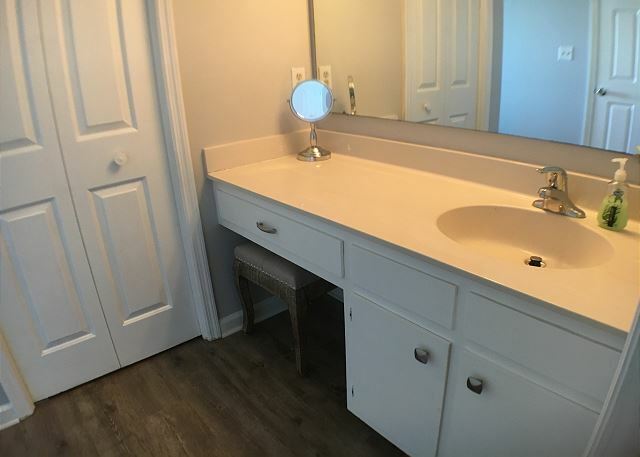 Plenty of room. Great view from the balcony. Had a great stay. 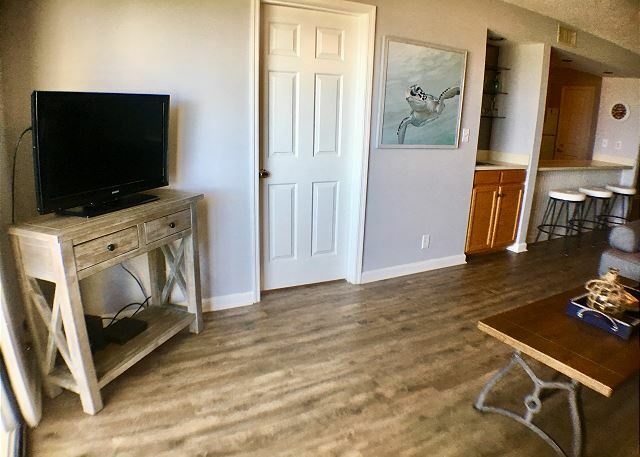 The condo is very spacious and nicely decorated. I loved the location! 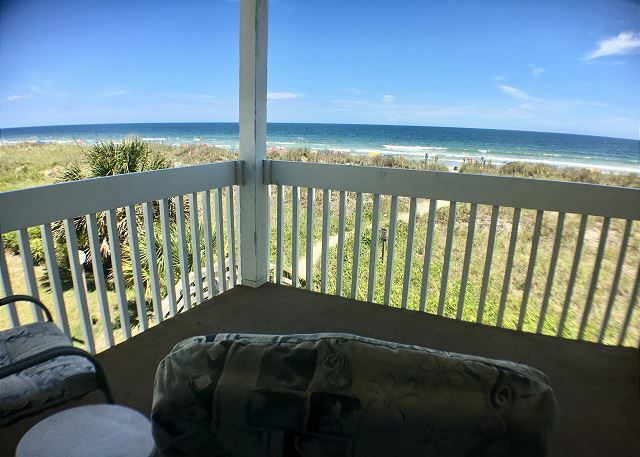 It had great ocean views and balcony breezes, plus a very short walk to access the beach. 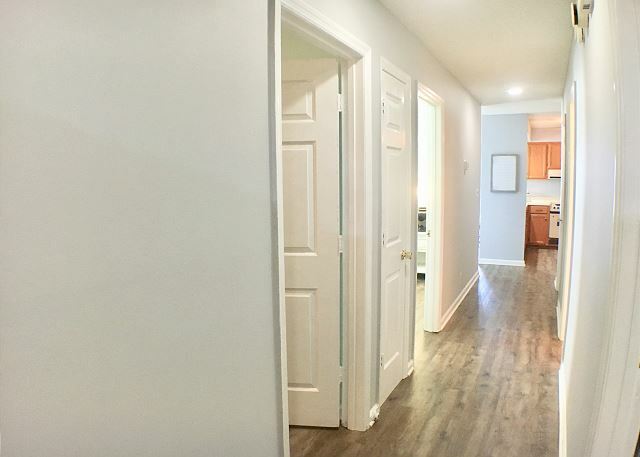 The property was very clean with new flooring, paint and looked recently remodeled. It had very nice decor throughout. The whole property was very quiet and even though it was summertime (i.e. busy season), we often had the pool to ourselves. The air condition worked great too! The only minor negative was that the stove was old and the kitchen had few pots and pans, but it had plenty of utensils. 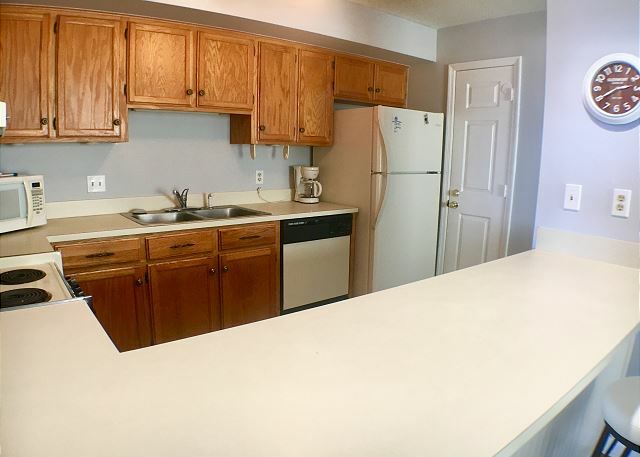 We also had a minor problem with water leakage in the kitchen, but the property management company was very easy to with. I would definitely recommend this property!